It’s Friday at last! The weekend has almost landed so something easy to prepare but full of energy was what I was after when coming up with a breakfast idea today. It honestly couldn’t get more simple than this either! I have always loved cottage cheese but it is usually relegated to being shoved into a jacket potato. It’s a really popular food for gym goers to help build muscle, and you can even make pancakes out of it! 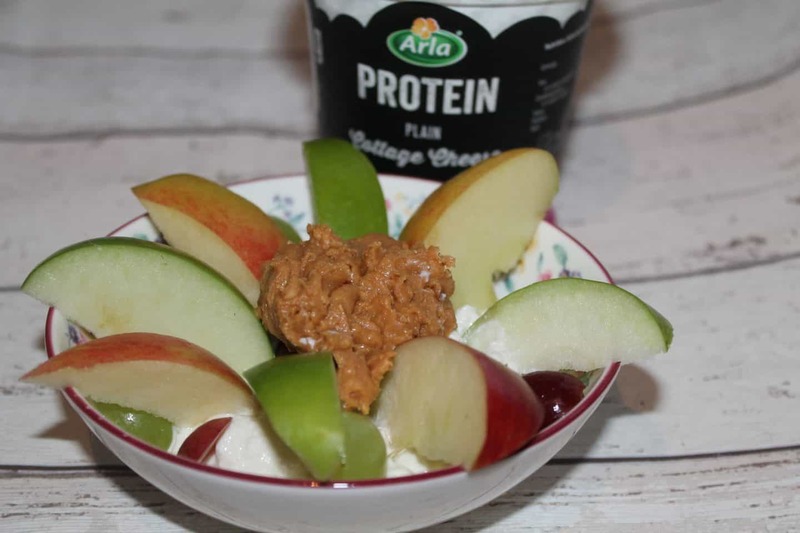 So a nice easy protein bowl recipe for Arla’s Choose Goodness challenge! Method: Pop in a bowl, make it look pretty if you plan to Instagram in but otherwise just tuck in! Tips: If you’ve got young kids then please make sure you slice your grapes in half lengthwise otherwise they’re a choking hazard! Whenever I have this for breakfast I scoff the rest of the apples as a mid morning snack. You can also add a dollop of jam with your peanut butter too, trust me it’s delicious! 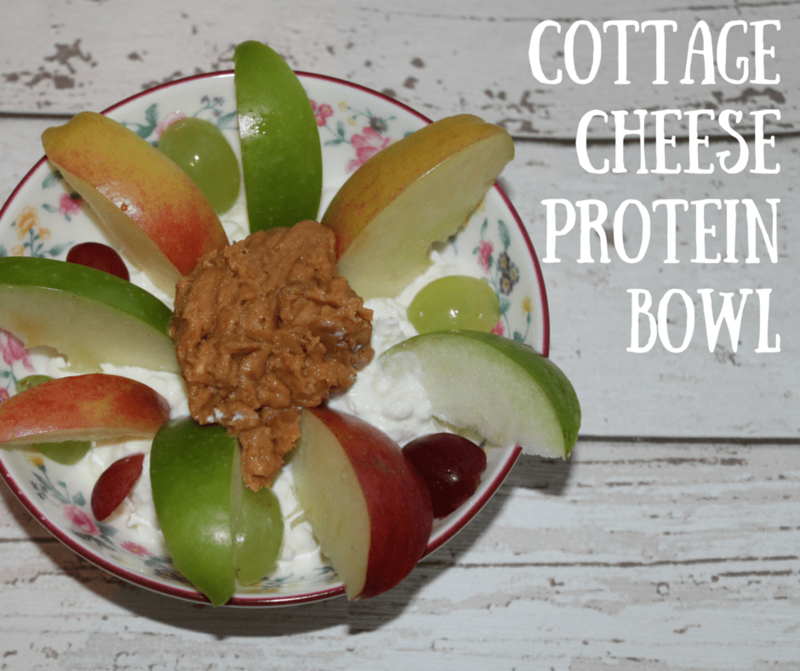 I love cottage cheese! Never thought to have it on anything other than a jacket potato! I also love peanut butter so that’s always a winner!